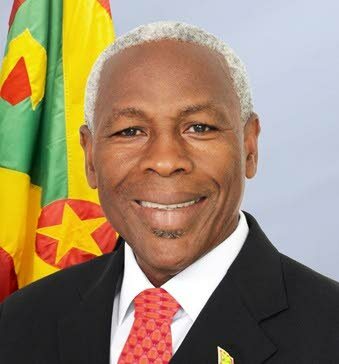 Grenada's acting Prime Minister (PM) Gregory Bowen says his country will "push all the gas, if Trinidad will buy it." He was responding on Tuesday to a question from a Grenadian reporter about the National Gas Company of TT Ltd's (NGC) recent announcement of a commercial agreement with Global Petroleum Group (GPG) to have first right of refusal for any natural gas the Russian oil and gas company finds in Grenada. "A test well was done and it shows great potential. GPG and NGC (have decided) that gas is the most likely thing that we've seen and that we'll push all the gas if Trinidad will buy it. We have reached the stage where Trinidad has indicated that they will buy it." Bowen also revealed the Grenada government played a role in helping GPG secure the TT market, via NGC, for its future gas exports. "Grenada played a significant role with the government of TT in finding that particular market...We worked with the government of TT to ensure we could get a market." Bowen was addressing members of Grenada's media on April 17 during the first post-Cabinet press conference since the Dr Keith Mitchell administration was re-elected on March 13. The Minister of Infrastructure Development, Public Utilities, Energy, Transport, and Implementation was appointed acting PM while Mitchell is attending the 2018 Commonwealth Heads of Government Meeting (CHOGM) in London this week. Reply to "Grenada acting PM: gas finds will come to TT"